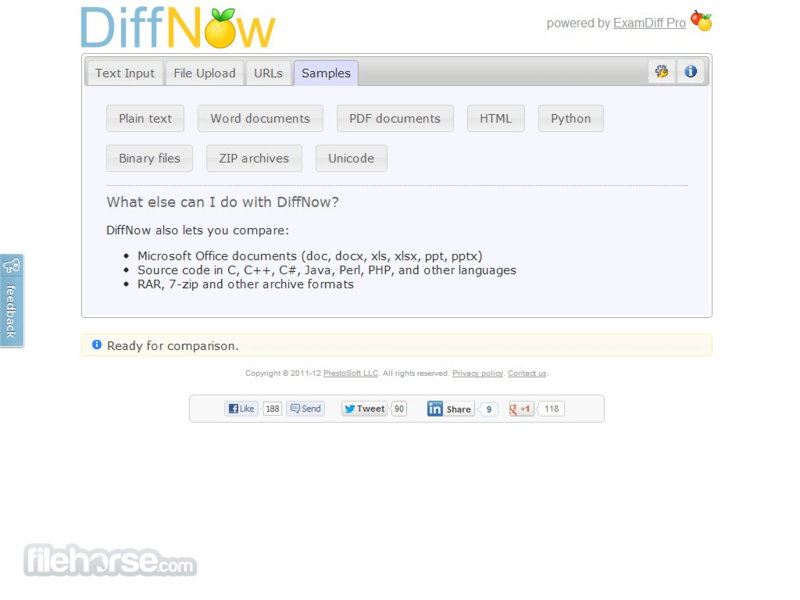 DiffNow is a usefull web application for comparing and finding differences and similarities between textual files (plain files, PDF, various Microsoft Office formats), program codes made in various languages (C, C++, Basic, Visual Basic, Delphi, SQL, Java, etc. 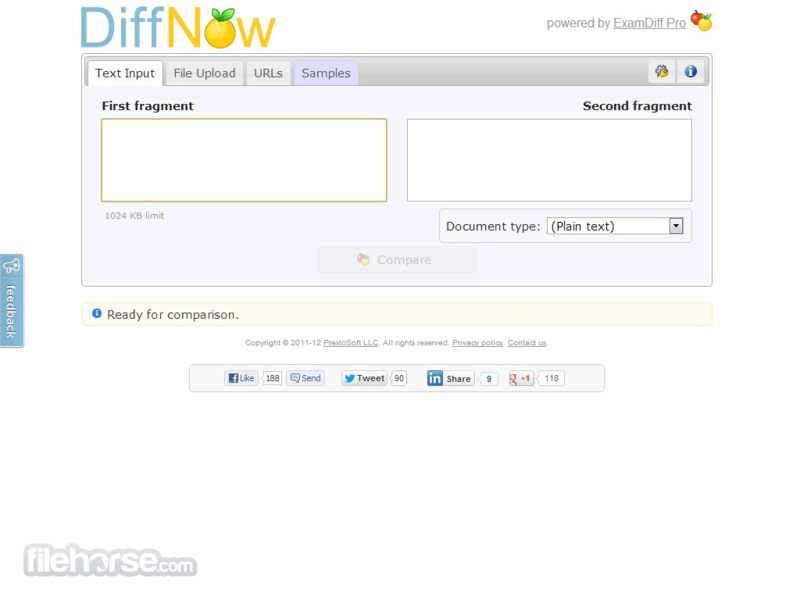 ), webpage source codes (HTML, XML, PHP,Java Scrpts), compressed archives (ZIP, RAR, 7-Zip, etc.) and even webpages. 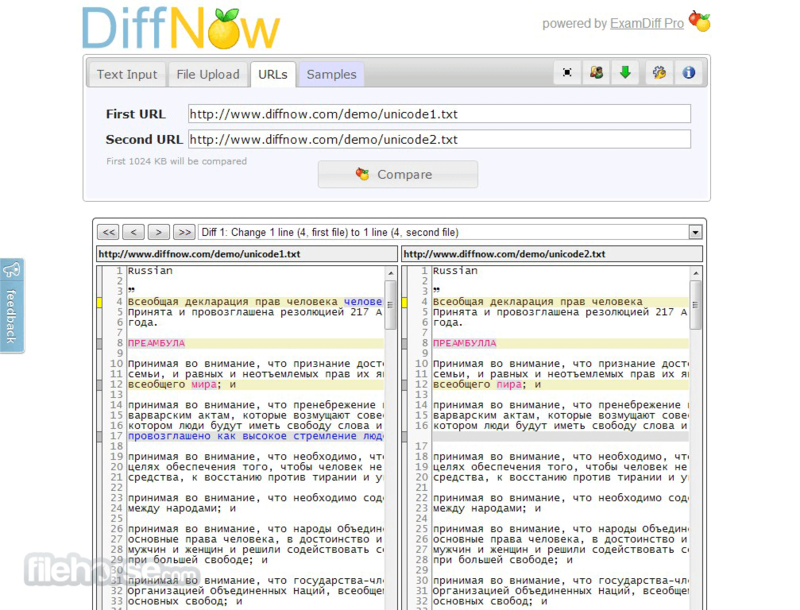 DiffNow uses simple but intuitive interface that will compare two selected files or webpages with astounding accuracy, and you can even set it up to ignore Case, blank lines, Linebreak styles, white space in lines, and more.